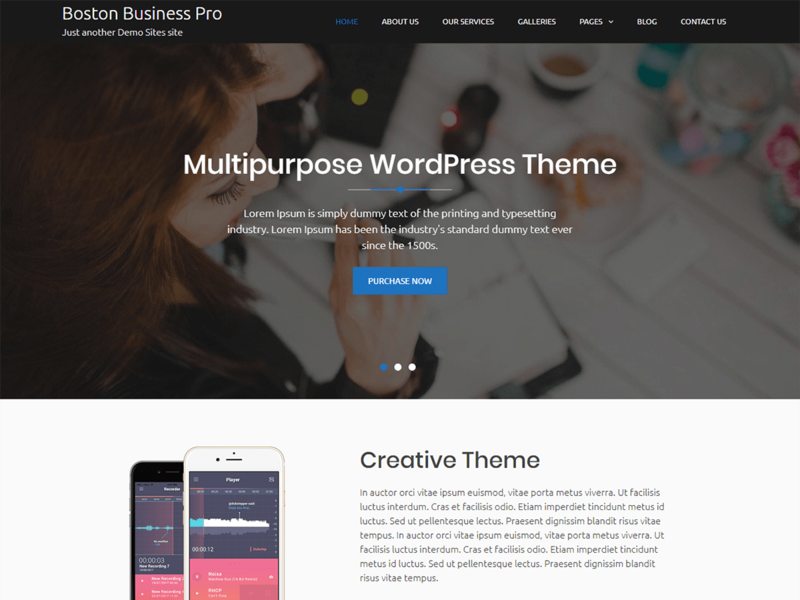 Boston Business Pro is a clean, modern and responsive WordPress theme with a pre-built demo which can be imported in few seconds from one click demo importer plugin. This theme uses SiteOrigin’s Page Builder Plugin that makes theme more user-friendly. This theme is perfect for your business website. Additionally, theme features include multiple blog layouts, full width layouts, color picker options etc.